When linked to video, these statistics can provide game-changing insights. The best way to improve is to look back on what has already taken place. Through careful study and analysis, one can find once-overlooked issues or uncover some insights previously missed. It’s now easier than ever to find the exact moments in the game you want to see. Statistics are faster and more efficient than even the finest video coordinators are at picking out the plays you need to see and compiling them into an organized playlist. Now that you know how easy playlists are to create, allow us to recommend three key stats worth keeping an eye on. The actions that occur during a corner or free kick are essential and often lead to the best scoring opportunities. Nailing your execution on these set pieces is crucial to having a consistent and dangerous attack and a strong, resolute defense. Offensively, make sure all your players are in the correct position and have a full understanding of where the ball should arrive. Analyzing the video of your corners can ensure you have the right players taking and receiving the kick. You can find and patch up holes in your defense against opponent set pieces. When goals are scored in these moments, go back and look at exactly where your defense broke down. You can then sit down with your backline and make corrections to avoid the same mistakes again. It’s hard to win if you can’t consistently put the ball in the net. 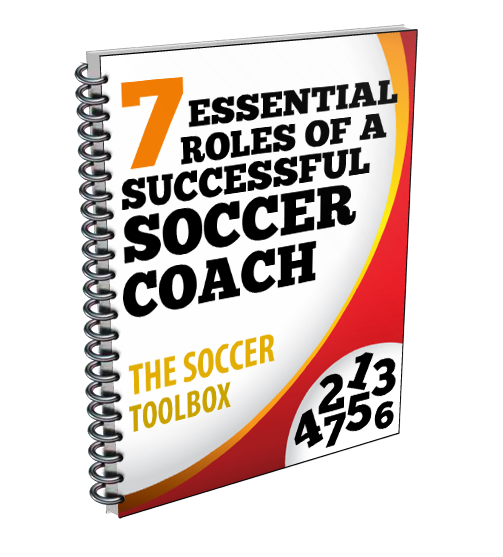 You should review your goals to see which set pieces were successful, which players thrive in certain situations and who possesses the composure to finish in front of goal. 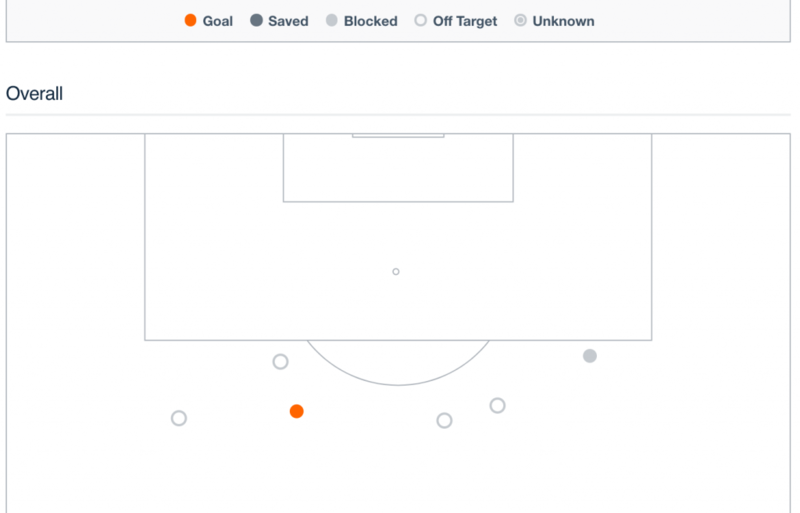 But the shots that didn’t find the back of the net hold an even greater importance. Watch this playlist to see where play in the final third broke down. Did the player simply miss a chance? Was someone out of position? Was the timing of a run too early or too late? These playlists can be compiled from the Reports tab, but the shot chart offers a different, often more-revealing, view. They show precisely where each shot came from as well as the build up to that moment and the shot’s result. You can easily see and correct those missed opportunities your players didn’t capitalize on. The perfect way to shore up your defense is to self-scout. Use your Goals Conceded playlist to quickly watch each goal an opponent scored. Look for reasons why a breakdown occurred — did your keeper make a mistake? Was someone out of position? Or did you have the wrong tactics based on how your opponent was set up? If you examine your team’s failures, you’ll be able to help correct mistakes and decrease the odds of them happening again. These stats are all great on their own, but the key is their connection to video. The statistics allow playlists to be assembled instantly, just waiting to dispense valuable insights. Click here to see just how useful video and stats can be for your team. 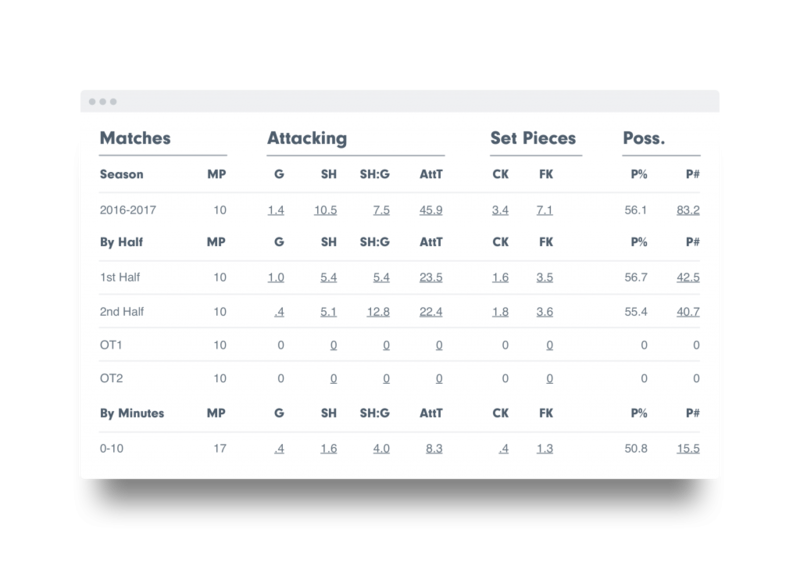 Or if you want the stats broken down automatically by our analysts, check out Hudl Assist.